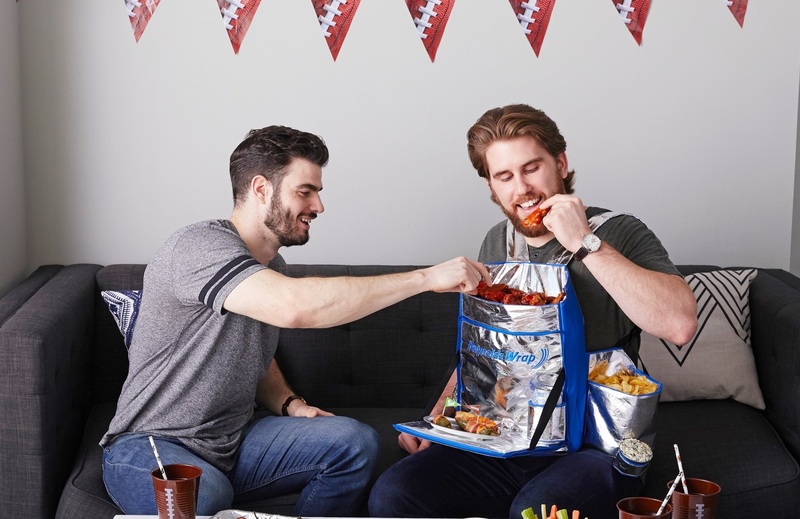 I’m not sure what’s worse: That a major company thought people would want to STRAP a FEEDBAG full of snacks to themselves . . . or that people were like, “Yes, we DO want that”? 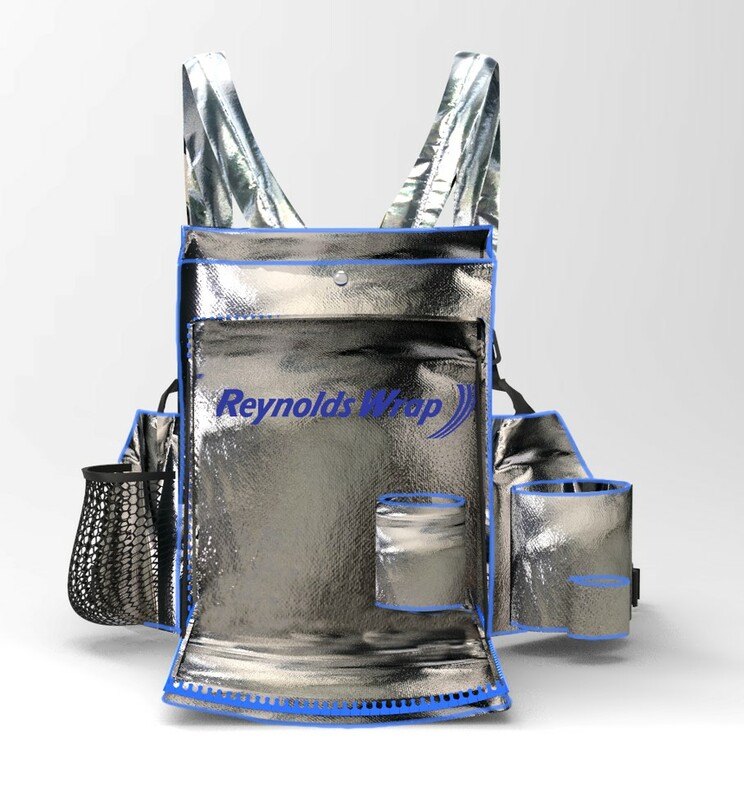 It’s a silver harness you wear on your chest with several thermal and insulated pockets for holding different snacks and keeping them warm. 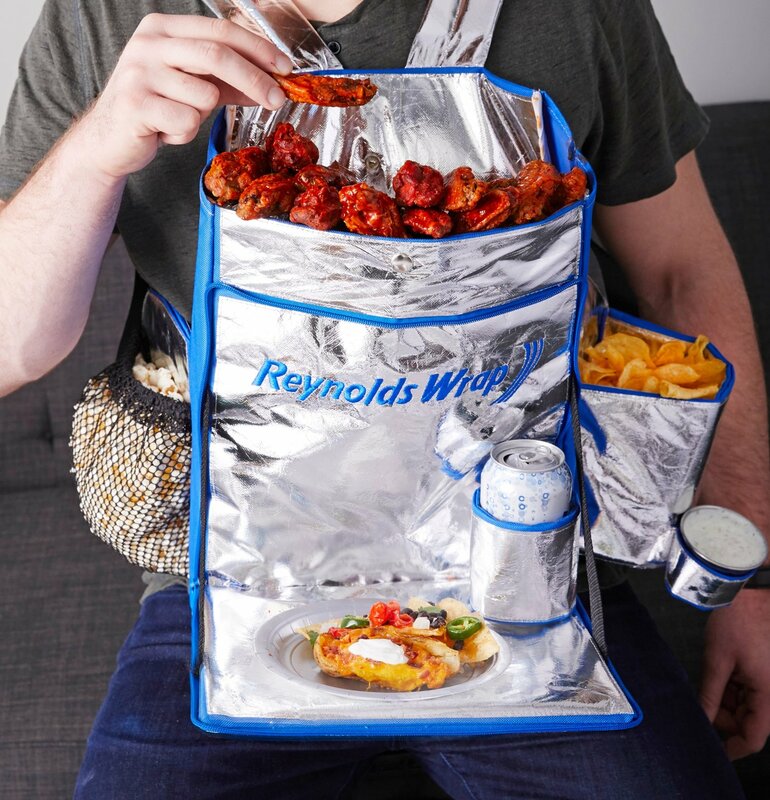 And it also has a little fold out tray and a drink holder. So it’s perfect for the Super Bowl. They put them on sale for $5 and . . . they sold out immediately. But don’t worry, they say they’re producing more soon.